Like any good innovator, Liz Tracy has worn many hats. This has allowed her to adapt her interest in social capital to work all over the world to foster healthy communities. 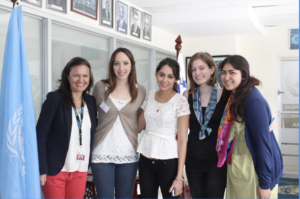 Through her travels, she learns the value of a diverse perspective and develops key insights on the role of empathy in social entrepreneurship. 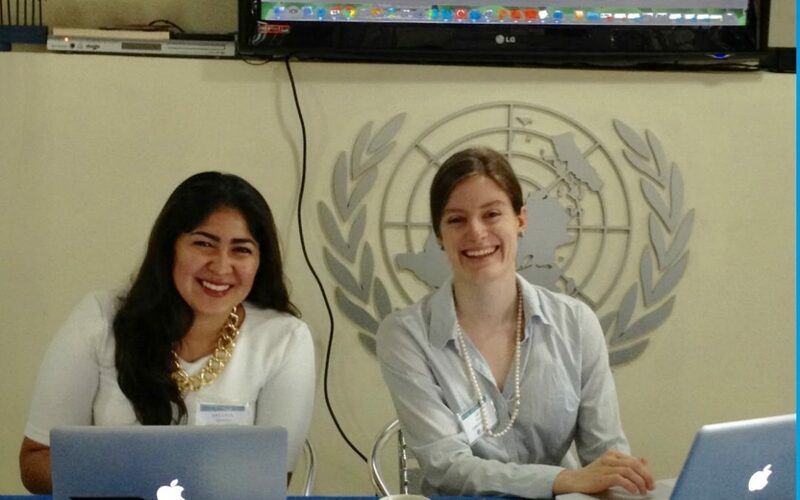 She started as a Leadership exCHANGE Women as Change Agents program participant in Panama, hoping to focus on Millennium Development goal number 3, which focuses on elevating women and leadership to coordinating the program itself, to then teaching the Social Entrepreneurship every July in Raleigh. This past January, she traveled to Prague and Vienna to teach the course Leadership & the Community for Leadership exCHANGE’s 2-week Impact HUB Crawl. Now, she accesses her social entrepreneurial experience acquired during her time at our various hub crawls and challenges to consult at the University of Chapel Hill and One Better Ventures. But flashback past of 6 years of progress and innovation where Liz’s journey started on a canoe. En route to Embera Indigenous Village in a canoe with Jason Widen (Leadership exCHANGE Advisor and Co-Founder of HQ Raleigh), they discussed the growing community of innovators in Raleigh and that they were looking for passionate people to join the new team. Jason asked if Liz would consider relocating from Panama to Raleigh. Never one to shy away from a new adventure, Liz made the move. She became one of the first team members of HQ Raleigh, eventually becoming Executive Director–a post she just recently left in order to pursue a new Ph.D. program in Psychology at University of North Carolina State University. 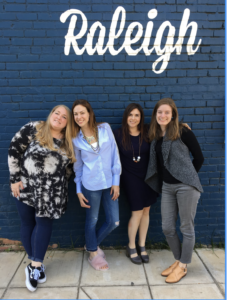 Liz worked with a team of female innovators (Magdalyn Duffie, Lucila Dottos, and Heather McDougall) to bring a small group of women from Puerto Rico to HQ Raleigh January 2018. We asked Liz to reflect on how Leadership exCHANGE has shaped her to get a better understanding of why she is still so engaged with the program. Social Capital: Social capital has been used to explain the improved performance of diverse groups, the growth of entrepreneurial firms, superior managerial performance, enhanced supply chain relations, the value derived from strategic alliances, and the evolution of communities. Through the first hand experience of innovation abroad, Tracy recalls, “there is a series of steps that people take in empathizing with and understanding the problem, talking to people that are affected, and coming up with plenty of solutions, testing them and putting it into the hands of the people is a universal process that can be done anywhere you are. Nowadays, you’ll find Liz working all over the world to educate and enrich all types of innovative communities, or in other words, living the entrepreneurial dream. She has utilized her experience from Leadership exCHANGE and HQ Raleigh to lead cross-cultural projects. 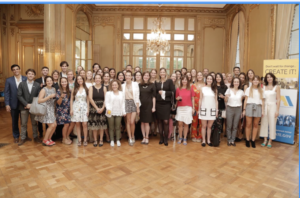 One of which was a women’s training program combinging the efforts of Young Leaders of the Americas Initiative (YLAI) and the Universidad de San Andrés in Buenos Aires, Argentina. Liz and YLAI Fellow Lucila Dotto led the training, proving the attendees with sustainable skills to introduce to their respective workplaces.